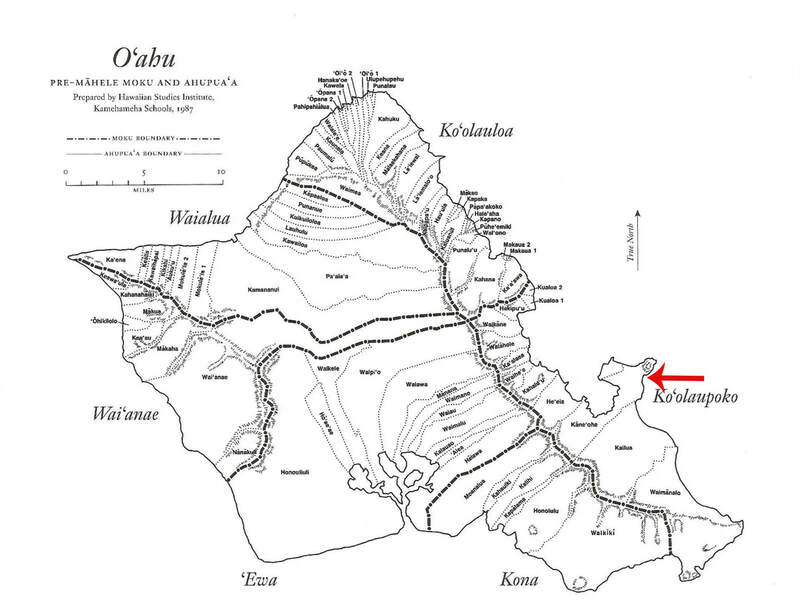 Ahupuaa Kaneohe extends from ahupuaa Kailua to a line that connects the small peninsula at Pohakea (below Puu Pahu and opposite Moku O Loe Island) with Puu Keahiakahoe on the eastern flank of Haiku Valley. It includes the Mokapu peninsula except for the part approximately from the runway to the northwest end the peninsula. It appears to bisect Moku O Loe Island (Coconut island); I have chosen to place the island in ahupuaa Heeia.